DETROIT, MI -- Eight automakers are recalling more than 12 million vehicles in the U.S. to replace Takata air bag inflators that can explode with too much force. Documents detailing recalls by Honda, Fiat Chrysler, Toyota, Mazda, Nissan, Subaru, Ferrari and Mitsubishi were posted Friday by the government. 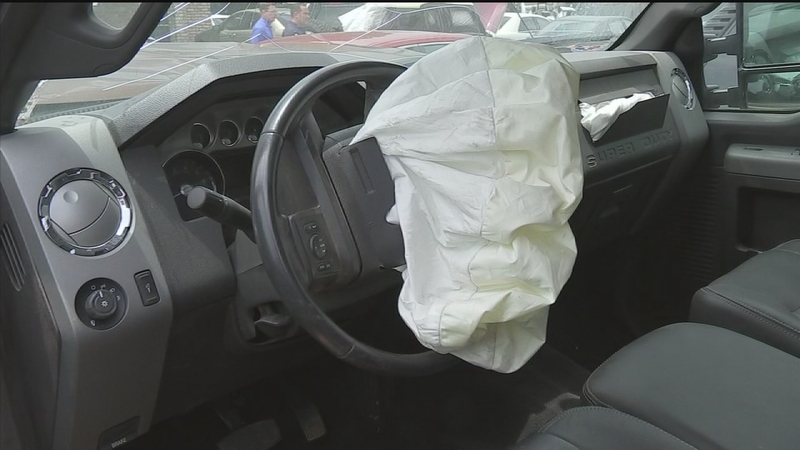 They're part of a massive expansion of Takata air bag recalls announced earlier this month. Seventeen automakers are adding 35 million-to-40 million inflators to what already was the largest auto recall in U.S. history. Friday's recalls include passenger air bags mainly in older models in areas along the Gulf Coast with high heat and humidity. Some people are getting frustrated with the length of time automakers say it'll take to make the proper repairs to faulty airbags at the center of a recall.